We have been living in our current home for nearly two years now and we still haven't completed the house to how we want it. I must admit buying a house is much more harder than private renting. Many things have happened since moving here, we have had leaks and the kitchen ceiling fell last August, as well as having to do a massive makeover to the back garden. We are going to do the bedrooms soon before arrives but the room I hope to complete by the end of the year is the dining room. At the moment the dining room has turned into my space. I have my blog work papers, organiser and laptop there, along with many other things such as my notebooks and a load of other rubbish I keep hold of! I have always pictured my dream dining room in my head and hopefully one day we will get it. A family dining room should be a warm and peaceful place for you and the rest of the family to relax. It should be a place to sit down and eat your food with no TV and just the family talking and catching up, as well as bonding. 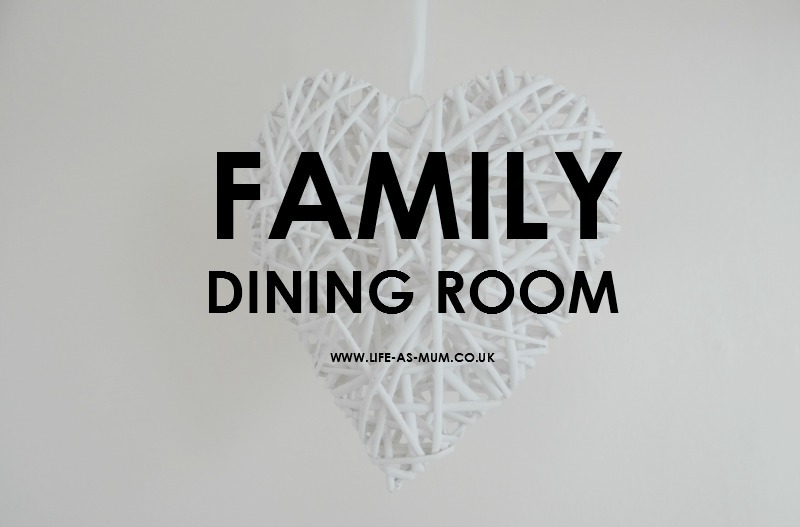 I think warm coloured walls such as a soft brown, beige or maybe a white colour would be perfect in a family dining room. It all depends on how big or how small your dining room is. I would go for a cream/white wooden table with an extra touch of another colour, just like the one above in the moodboard. Fishpool sell a great variety of dining table sets and there are many great choices to choose from. 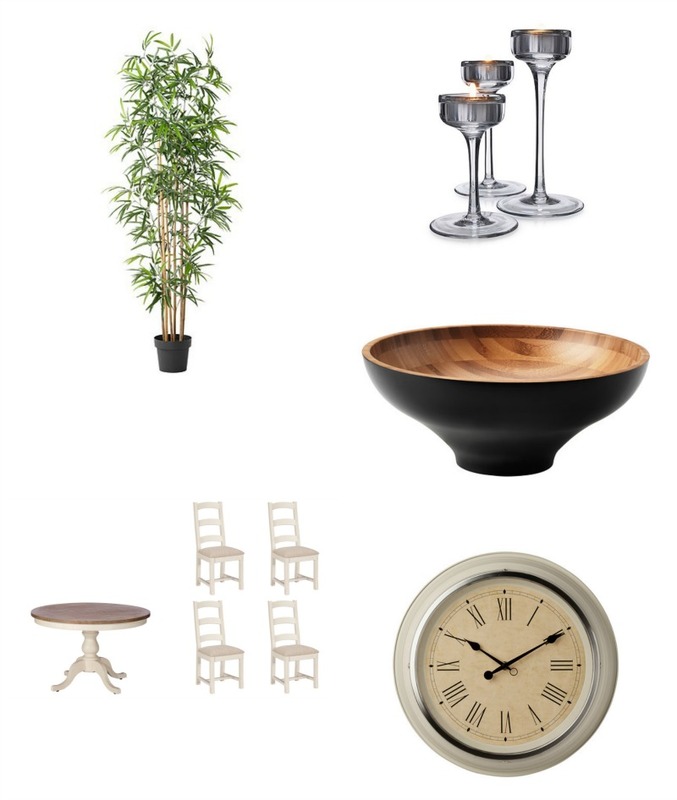 I would also add a wall clock, with an artificial plant and candles to make the room feel welcoming and warm. * This is a collaborative post with Fishpool. Ohh.. I do like the looks of that table! We are (hopefully) moving soon! I completely agree: it's harder when you own your house because you've actually got to sort of all the repairs before you can turn the house into what you really want. We've been in our home 8 years and it's only just turning into (bar the kitchen!) what I want exactly. Good luck with the living room revamp! Love the dining table and chairs, the clock is also lovely. We've been in our current home for 3 years and still have lots to do. Great choices, I love the black and copper colours together. We have been completely renovating our house for the past 3 years!